Heather Ayris Burnell is giving away a QUERY + FIRST FIVE PAGES critique. She is the author of KICK! JUMP! CHOP! THE ADVENTURES OF THE NINJABREAD MAN published by Sterling Children’s Books and is represented by Sean McCarthy. To learn how to enter, read her post about the contest. The giveaway is open to all genres via Rafflecopter and ends in six days. Be sure to check out her book by clicking the link above to show her some love for her generosity! 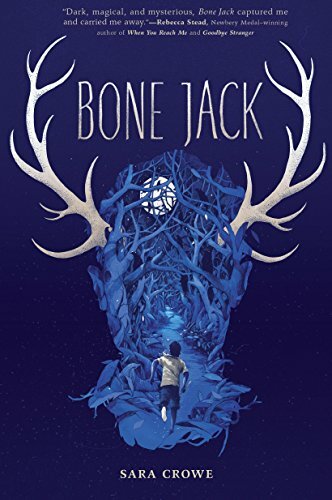 It’s with great pleasure I announce Bone Jack by Sara Crowe is being released in the United States on February 7, 2017. I originally interviewed Sara in June of 2014 regarding Bone Jack in the UK. However, the US link on that interview goes to the Book Depository for the UK version. BUT…now you can get the US version with a brand new cover design. And doesn’t it look fabulous? If you would like to learn more about Sara, visit her on twitter or Instagram. She is a wonderful photographer, as well. So check out all she has to offer! If you live in the United States, be sure and enter the Rafflecopter giveaway (Closed) for a free copy of the US version of Bone Jack! (Yes, this is for U.S. only, sorry guys.) As always, good luck! Sharon Johnston and eleven other authors have banded together to give 12 books away they authored. This is a great giveaway around the holiday season. I’ve read both Sharon’s books Divided and Shattered, and highly recommend! As for the other awesome sounding titles, I’m entering in hopes of winning too! I mean, c’mon, who doesn’t like books! Go here for information on entering and links to the other authors. For over 20 years, Jane Friedman has been in the book and magazine publishing industry, with expertise in digital media and the future of authorship. She speaks around the world at events such as BookExpo America, Frankfurt Book Fair, and Digital Book World, and has keynoted writing conferences such as The Muse & The Marketplace.You can read her entire BIO/Resume here. Chapter 2: Are You Ready to Face the Business of Publishing? The giveaway will run from November 5th, 2016 (12am CST) to November 11, 2016 (12am CST). To enter the giveaway via Rafflecopter, go here. And as always, good luck!